"Fall back, spring forward." It's a mantra that has kept many of us from sleeping through class every autumn. I know I almost missed work last November when I foolishly set the clock two hours later than it really was. This year, the end of daylight saving time (DST) occurs midnight on Nov. 1, or right after Halloween night. But you may be wondering, exactly why do we have daylight saving time? Americans have been setting their clocks forward in the spring and back in the fall for almost 50 years. Since World War I, countries have been shifting the clock schedule to maximize daylight hours and, by extension, work productivity. In most regions of the United States, DST is a standard practice. It took a long time for the clock change to become normalized, though. And in many parts of the world it is still not a custom. According to History.com, Englishman William Willett is credited with the original idea, although some credit it to Benjamin Franklin. In 1907 Willett published a brochure titled "The Waste Of Daylight" (which incidentally would make a great emo band name), advocating people to set their clocks forward 80 minutes during the summer season in order to make the most of the sunlit hours. But it was Germany that first initiated the clock change in 1916 in a nationwide attempt to cut down electricity costs. Other nations followed the German lead during World War I. The United States issued a clock change in 1918, but it was repealed a year later after farmers protested. This would be the first of many time change requests made by commercial industries over the next century. 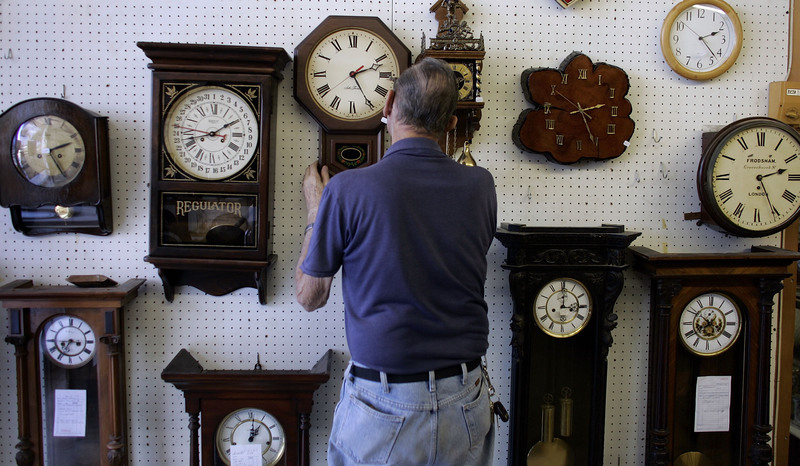 For the next 50 years, individual cities and states issued clock changes throughout the country. It produced a lot of confusion, especially for train passengers who sometimes passed through a half dozen clock changes in a single journey. Finally in 1966, Congress passed the Uniform Time Act, which created a standardized daylight saving time from the first Sunday in April to the last Sunday in October. Another 50 years later, it inspired this LOL-inducing fake movie trailer. It remains up to the states to decide to comply or not, though. Hawaii and many parts of Arizona do not follow daylight saving time. Nor do Guam, Puerto Rico, Virgin Islands, or American Samoa. Only about 70 countries follow DST. Several major countries, including China and Japan, do not, which makes international travel a bit more confusing. Always be sure to look up local times when you travel across borders. Nowadays, due to the advent of cell phones, watches aren't as popular as they were a few decades ago. And since most of our cell phones are programmed to automatically change times during DST, the whole notion of "setting the clock" back or forward is a little quaint. So if you can find a manual clock in your house, don't forget to set it back an hour after midnight on Halloween. And enjoy the nostalgia — we may be the last generation to physically change the clock time before everything is automated and we all turn into robots.